Updated for iPhone XS, XR, XSMax. Minor bug fixes. 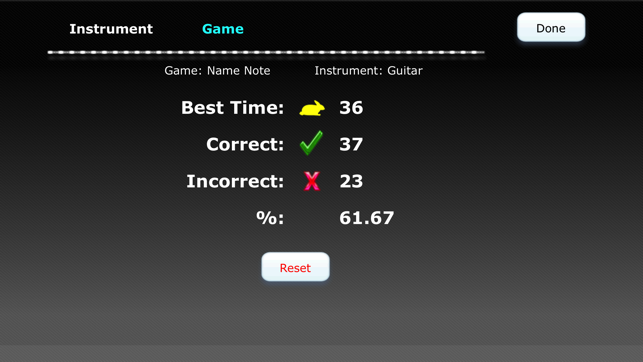 It totally helps me recognize notes on the fretboard, and it was well worth the money. I know it works because I know I'm acknowledging where I am on the FB when I play the guitar. 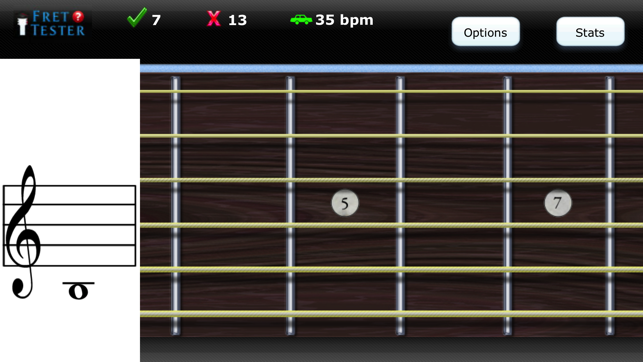 The learning comes out in my playing when I least expect it, but I know it came from using this app. Great for quick downtime learning while waiting in line, waiting to pick up my kid, whatever. Easy to grab for a minute or 'waste' a half hour with. Could it be better? Maybe, but it doesn't need to be. It's very useful as is. Those I've recommended it to also find it quite useful. Fretboard knowledge: It's necessary, and knowledge is power. This makes learning the fretboard and notes on a staff easy, and I accept and appreciate the challenge. I'm only going to get faster (and effortless) recognition by using it more, and I'm stoked on that. All my frets are green and I'm motivated to get to black (master). 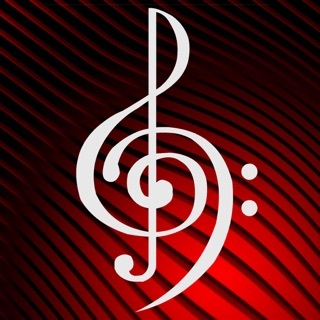 - This is by far the best app of its kind. And the price is fair for the actual value. 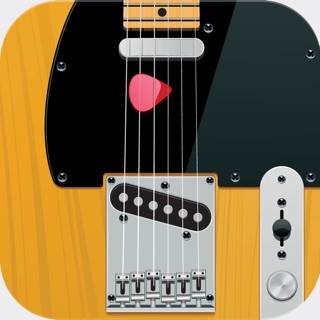 Avoids ALMOST all the issues with similar apps, which have problems with speed, string / fret selection options, messy interfaces, etc. 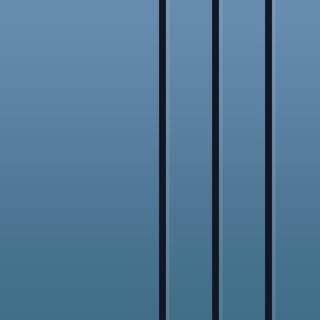 - But PLEASE PLEASE PLEASE pester the dev to make the guitar neck wider, AT LEAST as an option. It's FAR too easy to hit wrong notes due to the strings being so tightly spaced (especially for thick fingers). Granted, they LOOK great tight, but I can't get accurate stats on what I actually know because of being off by a hair now and then due to the interface. 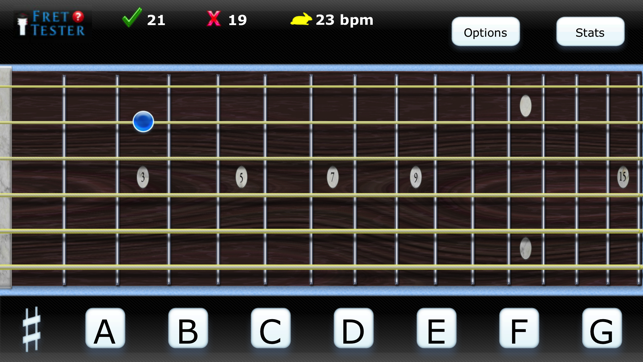 Especially frustrating, because the point should be learning the GUITAR fretboard, rather than establishing a separate skill on the iPad. - Again, it should be an option... for slender fingers or lower speeds it may be fine as is for some. Quite well made. Could use slight additions. 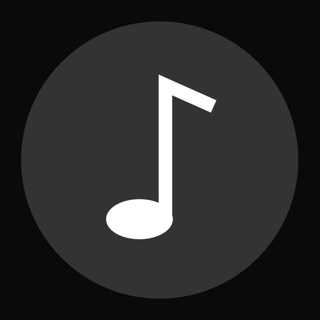 Allow chromatic notes to be practiced exclusively, and make the note bar reflect that by turning the notes into chromatic ones by default (so the chromatic button is not necessary to press). Allow simultaneous natural/chromatic note practice (which already exists), but allow two separate note bars stacked on top of each other, for both kinds of notes. This way, the chromatic button is not necessary. This will improve reaction time since only one button press will be necessary for either note type (instead of two buttons pressed with the added chromatic button). Allow any notes to be specifically selected in the options menu (through tapping them), so users can choose any visual pattern to practice. For instance, I could select only specific notes in a diagonal line. 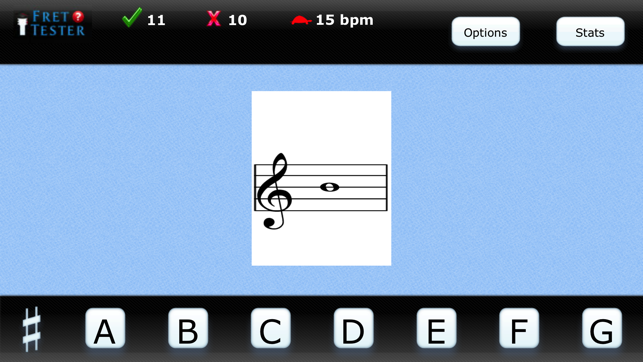 This challenges mental recall by forcing the brain to recognize the notes within a new pattern. Add 7 and 8 string guitar layouts, because extended range instruments are used a lot nowadays. 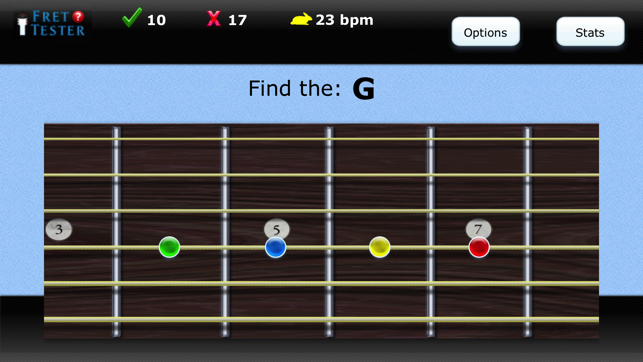 Fret Notes - Learn your entire fretboard!